A LEADING Scottish reprographics firm has recently completed a six-figure refurbishment of its Aberdeen office to accommodate the continued growth of the business. North East Reprographics (NER), which is based at Marywell in Aberdeen, has invested and expanded its current office space doubling its size, to cope with the increasing demand for its products and services. NER, which is part of the Xeretec Group following a merge in 2012, will use the larger premises to increase the helpdesk facilities, accounts functions, and enhance its reprographics and scanning department. The reprographics firm, which supplies Xerox machines and services, including printers and copiers throughout the UK and Europe, has recently increased staff numbers to 76, across their Scottish operations in Aberdeen, Glasgow, Edinburgh, Inverness, Dundee and Elgin. The firm has employed five new staff at their Aberdeen base to cope with demand, and there are future plans to create more employment opportunities throughout Scotland. Managing director of North East Reprographics, John Sheran, said: “We have had a very busy 2013 across all of our Scottish operations, with a growing demand for our product and services, as well as several contract wins with new and existing clients. “It was important to update and enhance our current office space to meet this growth, and to allow us to employ additional staff. The firm managed to secure and retain several multi-million contracts last year, and has already obtained a number of new managed print service contracts for 2014, with numerous global oil and gas organisations. 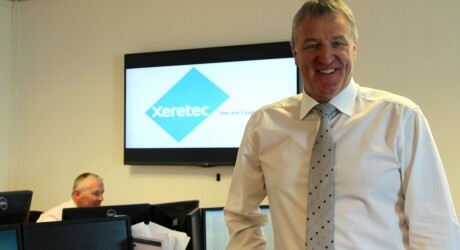 The Xeretec Group, a leading integrator of digital print hardware, software, solutions and services in the UK and Ireland, acquired North East Reprographics and its other Scottish offices in Edinburgh, Inverness, Dundee and Elgin, in 2012. The growing firm will eventually all come under the Xeretec brand.